Henryk Ross (1910-1991) was one of less than 900 known survivors of 160,000 confined to the Lodz Ghetto by German Nazis. Before 1939, Ross was a photojournalist for the Polish press and heroically that didn’t stop in the ghetto. He was forced to photograph identity cards for every captive, promotional material, and assignments, often gruesome, for the oppressors’ “Department of Statistics”. While photographing ostensibly for “work” he snapped away bearing witness, building evidence and leaving a record. His wife Stefa was imprisoned there as well, aiding and encouraging his activity. They were married in the ghetto. Ross’s cover necessitated movement, access to equipment, developing, and film: His perilous “employee” theft went undetected. Henryk Ross was a brave front lines prisoner and artist surreptitiously documenting specific and deteriorating realities of the innocents for five years– building a body of persistent resistance. He was a war photographer and patriot I did not know before this exhibition and will not forget. I wonder if there is a memorial plaque on Jagielonska Street near where he hid them? The exhibition included examples of the Lodz ghetto horrifying, gutting circulars. I used Google translate to transcribe a few of the letterpress announcements. I imagine that the Art Gallery of Ontario will crowd source volunteer transcription one day. 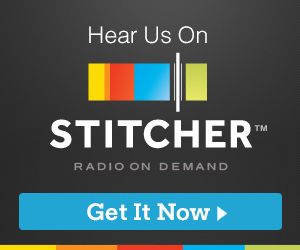 Aug 12, 1940 Announcement 104: Jews! Remain Calm! The events of the last days were triggered by the responsible elements that we wanted to bring chaos into our cycle. These people are aimed at the only important benefits allowed to organize positive and appropriate help for the population. In a short period of time since the creation of the ghetto, after great hardships, it was possible to obtain work from the outside for parts of tailors, carpenters, shoemakers, lappers and seamstresses; soon I will get employment for other crafts, as well as for handicrafts. The Municipal Budget is Overstated. Supplying children and the elderly is still in the foreground. Pomino will be equipped with kitchens for all: old and young. Regardless of the (?) general kitchen for workers and the unemployed, which will be issued with 10,000 tanks per day and for various layers (also for religious Jews) – block committees will continue to be supplied. this is a positive plan that must be spotted. this is not an easy task. therefore I am appealing to you with an appeal: keep calm. Do not allow yourself to be misled with irresponsible elements that would hinder your previous work and fulfill your future intentions. I WANT TO SAVE PEOPLE. Subject: Orders concerning the transfer of the ghetto. I hereby announce that the resettlement continues to take place on the initiative of the authorities. I urge the persons concerned – who are destined for resettlement – to do so. upon receipt of the departure request, it is essential that you arrive punctually at the meeting time prescribed by you, otherwise you will have to leave the country without any additional packing. Workers barracked in these areas in closed premises can remain in their workplace and be allowed to work in the same place. Searching for artist! Byron Brooks? query from Kate Foley posted November 2016 on Good Morning Gloucester generated comments about the artist and his work. I was inspired to piece together some of my primary research and the comments into an informal online catalogue. It’s very much a loose work in progress! Hope it helps people searching for information about the artist, and compels collectors to share additional images of his art. Just this week (6/27/18) another GMG reader commented that they acquired a Brooks painting in Tucson, AZ. Byron Brooks gravesite, Pleasant Grove Cemetery, Manchester, Mass. BROOKS, Byron [Painter] b. 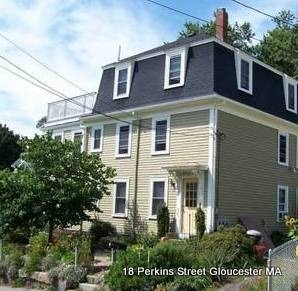 1906, Manchester, Mass | d. 1978, Gloucester, MA. And the qualified help that’s needed is underway! What do you do when your home repair goes very wrong? Upon evaluation, sometimes you just have to hire a new contractor to remedy mistakes. In the fall of 2014 memorial honor roll plaques in City Hall received some cleaning. The monuments were due some attention. Over time the names were no longer legible and the surfaces were grimy defeating their noble purpose. 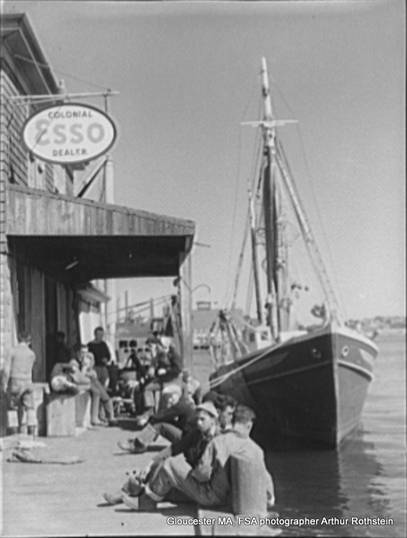 Gloucester’s outstanding City Archives and the Cape Ann Office of Veterans Services were and are able to help with research for those who can’t come in person or see them clearly. 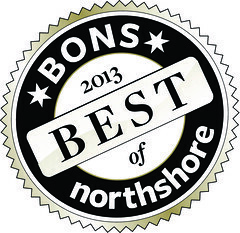 The 2014 project was not handled by the city nor administered through its committee for the arts, of which I am a member. Funds were raised privately to work on the plaques. Though well intentioned, those restoration efforts were botched (and costly at the time, so I’m told.) The names were made more visible, but the plaques were damaged and results are scratched, streaked and blotchy. A small annual budget (FY2018 $4000) that’s set aside for care of City arts and culture and monuments as part of its mission must now be redirected to fix the fix. Yes, “Sometimes you have to hire a new contractor to remedy mistakes,” frustrating, but necessary. Perhaps the 2014 group will reimburse this cost. The detailed work on the City Hall plaques will be completed in brief, focused intervals. One plaque in the rotunda will be restored last, because it’s a great opportunity to show before and after examples of contemporary restoration projects- the good, the bad and the quality. As the plaques are repaired, the detail of the raised carving and borders and most importantly the names of so many veterans will become easier and easier to read and remember. “Civil War (1861 1865)This tablet records the service of Company G 8th Regiment MVM in the Civil War; and War with Spain (1898 1899) occupation of Cuba; and World War 1917 1919″ Corrective repairs are underway on this trio Honor Roll. Waxy build up added in 2014 is being removed all over, and names in a small lower right corner have been attended. The multi story memorial to Gloucester fishermen lost at sea was a major public art project led, designed and hand painted by Norma Cuneo, with Irma Wheeler and Ellen Ferrin in 1978, a beautiful shrine lighted by day by two tall windows. Mark Newton, then city clerk-historian, and Jerry Cook were lead researchers; the team eventually compiled a card index that could be accessed by the public along with checking this massive lost at sea mural. 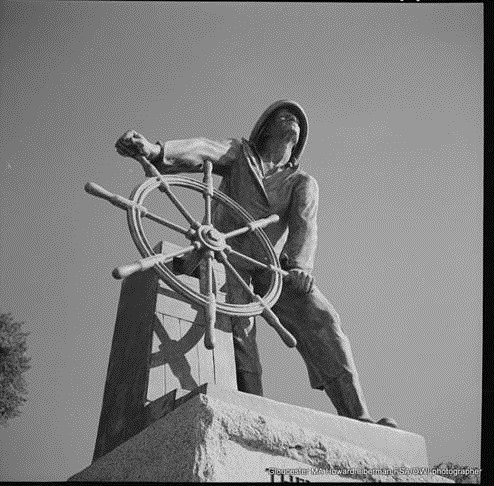 Research incorporated historic materials like The Fishermen’s Memorial and Record Book, by George H. Procter, published by Procter Bros. in 1873, printed matter, family archives, and newspapers. Volunteers and historians amend the sources and statistics over time. 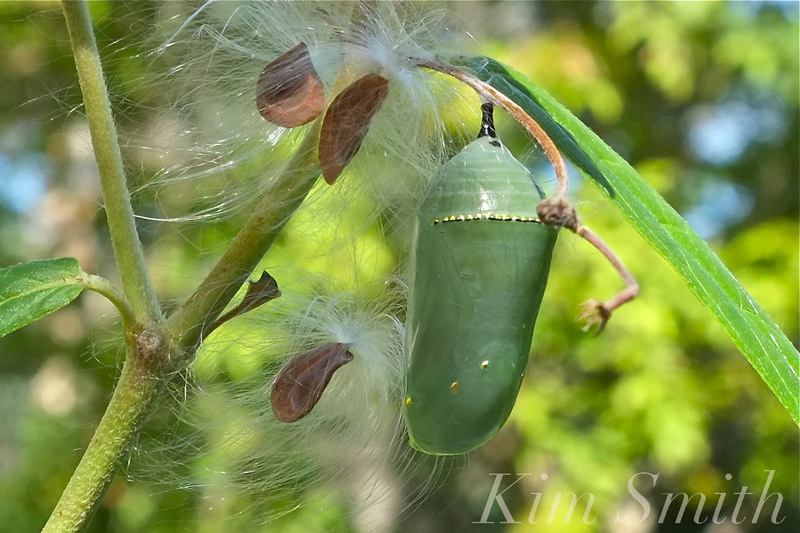 The sense of the power of a name and life is inspiring. The response and need to a tangible, accessible record was tremendous. 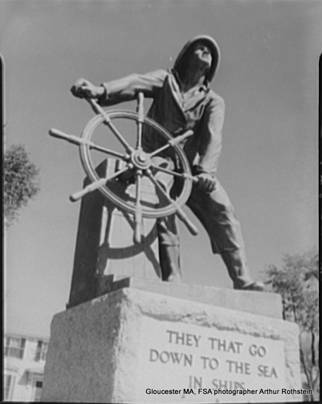 Their work was the basis for the cenotaph installed in 2000 by the Fisherman at the Wheel memorial on Stacy Boulevard, a sacred place and pilgrimage site accessible day and night. WWII poster, Loose Lips might Sink Ships Seymour R Goff (“essargee“) From 1934-43, milions of New Deal and Works Progress Administration (WPA) posters (original silkscreens, woodcuts and lithos) were created from nearly 35, 000 designs for various government agencies. 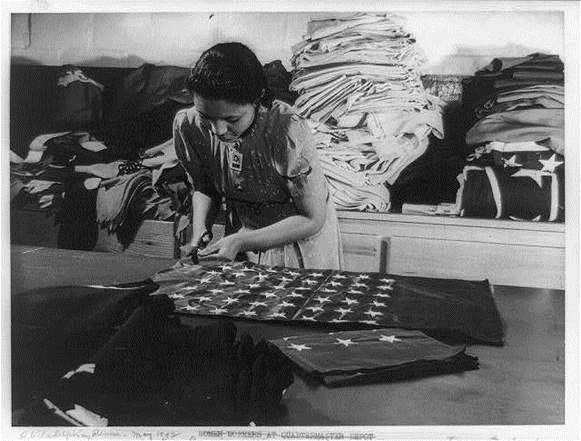 All the poster divisions were transferred to the War Department by 1942. Seagram sponsored this one. On Wednesday, November 1, 2017, there was a hearing in Berkshire Superior Court concerning efforts to block the upcoming Sotheby’s sale of Berkshire Museum art. Judge John Agostini presided over the hearing. Apparently the plaintiff cases were not enough; the Attorney General’s office filed an emergency motion DURING yesterday’s two hour hearing. There was a large audience. More than one observer felt that the courtroom scene looked like a Norman Rockwell painting. Judge Agostini said he will make his decision soon. The term refers to a commodity that can be traded for something else, such as cash. Instead, Aladro said, the board turned away from its “core legacy” as a museum and took steps that will sever its connection to cultural institutions it needs to hold future exhibitions. “You ask what the museum did wrong,” Keating said to the judge. “They violated their own written policies.” Briefs filed in the case show that trustees voted to sign a contract with Sotheby’s weeks before removing provisions from policies that prohibited selling art in the way it intends. Keating also accused trustees of secrecy. “They knew there would be pushback. They didn’t want to face this.” He pointed to an email sent last May by the trustees president, Elizabeth McGraw, that asked fellow trustees to keep quiet. The subject line of the email read, “Loose lips sink ships.” “They didn’t want this ship sunk,” Keating said. Commander Mark Nestor welcomed the city’s Tourism Commission to the Capt. Lester S Wass American Legion Post 3, Gloucester, MA. Gloucester Congressman A. Piatt Andrew (1873-1936) founded the American Field Service and was instrumental in forming the National American Legion at this post. It’s the third oldest in the country, and its 100th anniversary in 2019 is fast approaching. It was pushed along by the requests for an on line drive to support legionnaires suffering as a result of recent hurricane Harvey/Irma. The building and legion accommodate thousands of visitors annually. The building itself was constructed ca.1844 and is one of the greatest examples of residents crowd sourcing together to purchase a municipal building. The architecture serves an enduring patriotic role: first as a Town Hall, then school, and since WW1 the Legion Post 3. Nestor expressed gratitude for the city. This past summer they restored the wood floors, which brightened the space from the everyday black/brown grime of the past 20 years. They’ve greatly improved the space and display. A museum mount for the handwritten contemporaneous Official City Clerk copy of the WW1 army and navy register is a high light. A writer has already relied on it for original research. The Legion is open to the community and rented for private events. There is a private recreation room for veterans which is under renovation. Upkeep and care of the building is ongoing. CAN YOU HELP SOLVE THE WW II SHIP’s BELL MYSTERY? The commemorative coin celebrating the Capt Lester S Wass Post No. 3 100th anniversary and the Cape Ann Veterans Services coin are for sale. 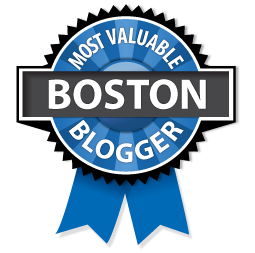 Today’s headline had me at hello: Congratulations Curtis Dagley! Krakow’s Gothic masterpiece- the Veit Stoss altar (ca.1480)! 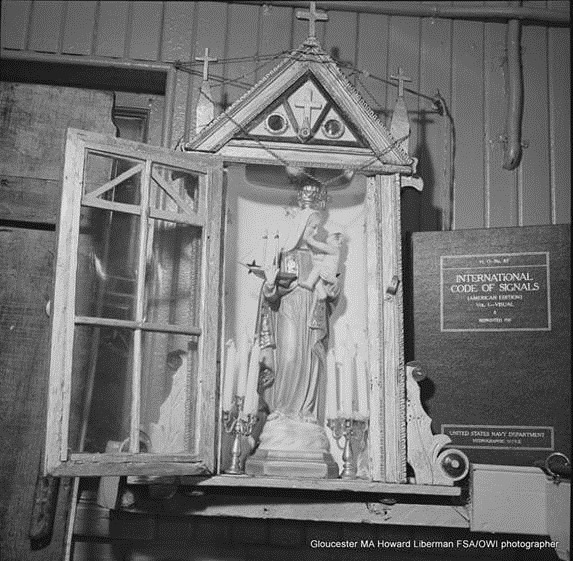 Here is Part 3 in a series about Gloucester photographs in the legendary Farm Security Administration / Office of War Information (FSA/OWI) collection within the Library of Congress. You can go back to Part 1 about artist Gordon Parks, and for some background about the program (1935-42). Part 2 is about photographer Arthur Rothstein with a timeline and quick facts. Rothstein had already left the FSA. 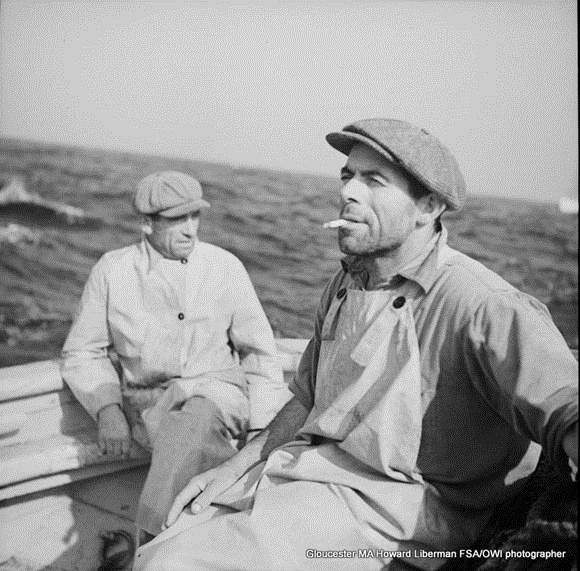 In 1940, Peter E. Smith Publishers, Gloucester, MA, produced his photo book, Depression Years as Photographed by Arthur Rothstein. 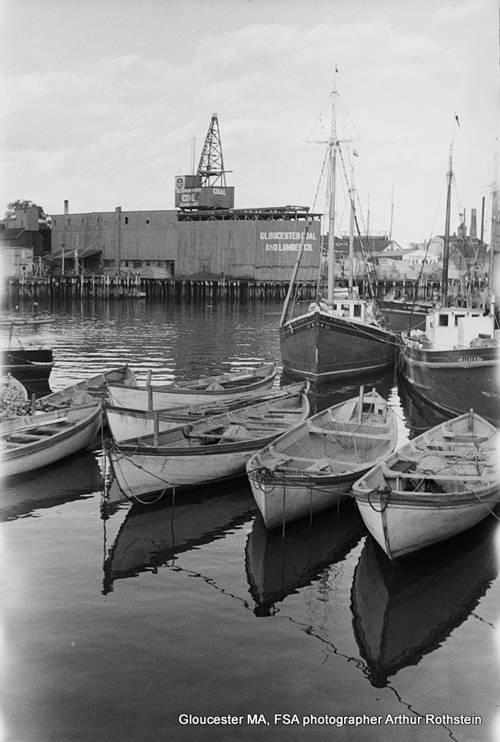 This compilation of photographs included the best known Gloucester image from his 1937 visit; was it one of the publisher’s, too. 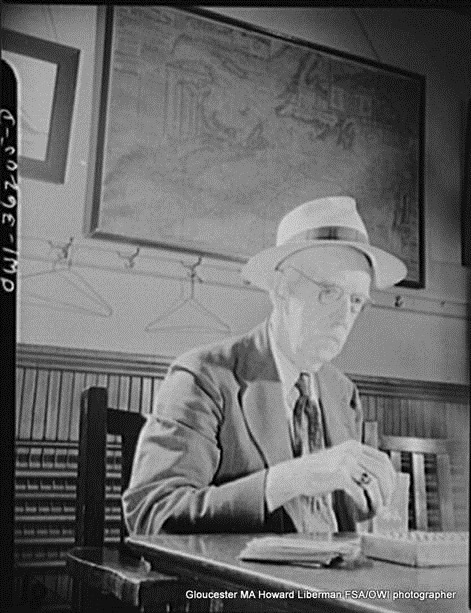 In 1941, Elmer Davis was appointed as the Director of the newly created Office of War Information (OWI). In 1942, Davis hired Francis Edwin Brennan from FORTUNE magazine to head the Graphics Department of the OWI. As Art Director of Fortune (1938-1942), Brennan commissioned famous covers by artists such as Otto Hagel and Fernand Leger. He was known in the industry as a serious art and publishing expert and was a favorite of Henry Luce. And here is a poster Liberman created for the OWI. Liberman worked with color photography, too, which is a sub-collection at the Library of Congress, less known than the black and white. Color photography was available, but more expensive to process and for media publishers to print. Howard Liberman was dispatched to Gloucester in September of 1942. His photographs show a clear emphasis on WWII dominant coverage, sometimes with an FSA take. The titles on Liberman’s OWI photos often lead with a heading. 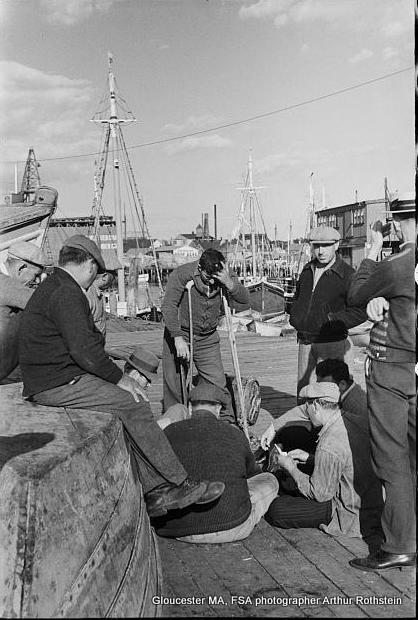 For Gloucester, many images have caption leads that begin with the patriotic category: VICTORY FOOD FROM AMERICAN WATERS. 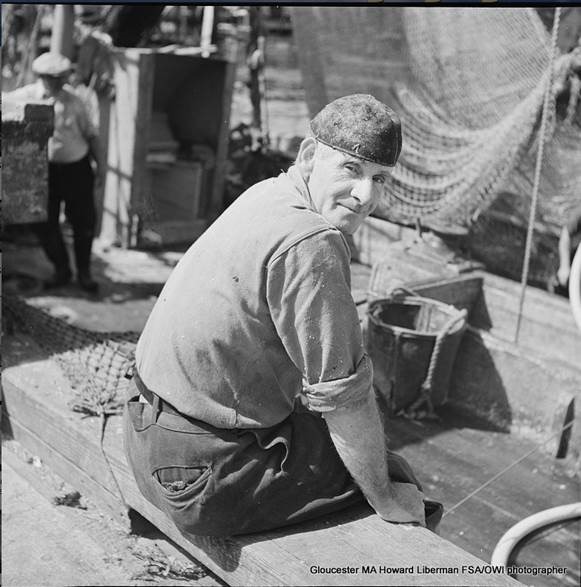 In Gloucester, Howard Liberman spent a time on the docks and out with the crew of the OLD GLORY. His captions seldom include surnames of the portrait subjects. They do have lengthy– sometimes general, sometimes quite specific– descriptions to support the category heading. 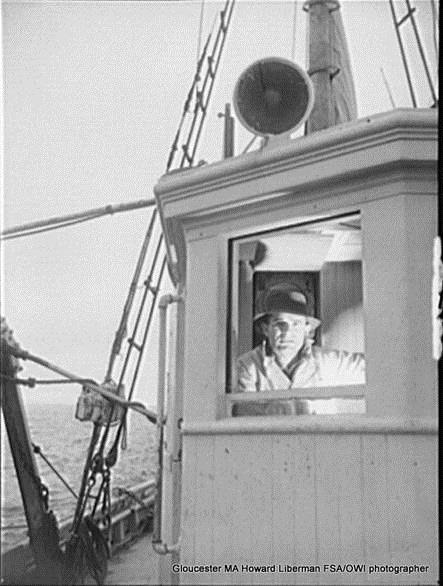 There are action and portrait shots of the crew catching rosefish during an Old Glory voyage. Look for ‘scenes’ such as Captain John Ribiera (surname spelled a couple of ways in the archive) at work and with his wife at home. 1942 census indicates “Oscar (Irene) fishermn Riberio” at 18 Perkins Street. Another reminder to look for exhibits to see vintage prints in person, rather than the low resolution files I’m showing here. Various resolution options are available at the Library of Congress. Besides the formal details, check out the Captain’s eyes! 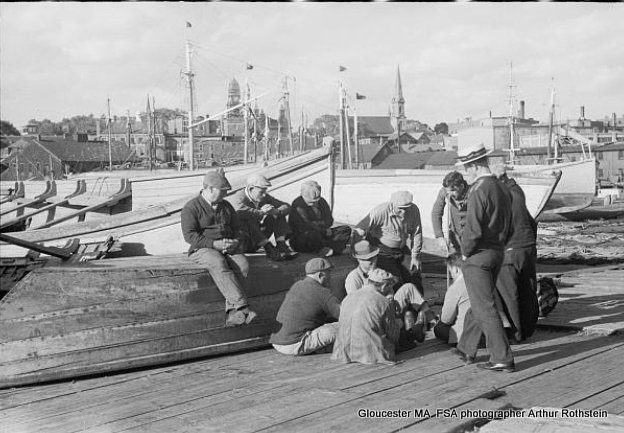 There are a couple of Gloucester interiors (deteriorated negatives) of the Gloucester Mariners’ Association; they infer “captains welcome only.” One shows a gentleman playing cribbage; another shows Captain Ben Pine, the man who raced the schooner Gertrud Thebud. 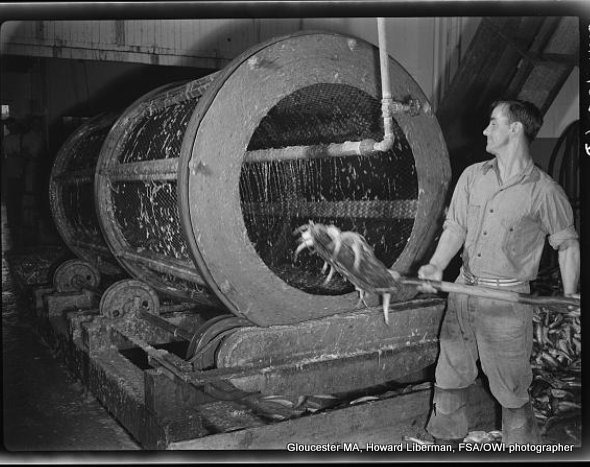 Joey, beautiful dangerous industry: shoveling fish into the rotary scaler at a fish packing plant. 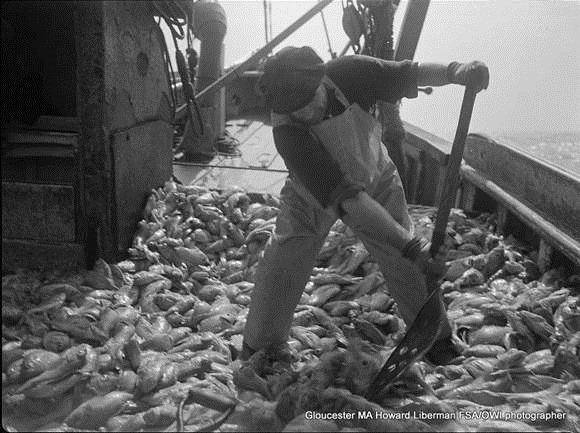 There are more than 50 additional Gloucester photos in the Library of Congress collection, and one Royden Dixon image from 1940. 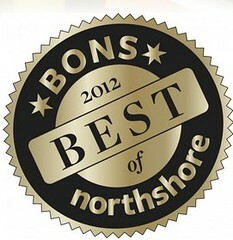 The municipal employees and the curators and staff who have worked on these collections (over decades) are superstars. 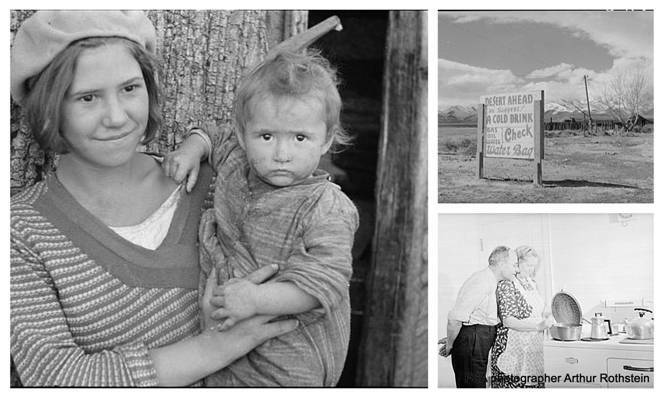 Beverly Brannan is the curator of 20th C documentary photography at the Library of Congress. For the FSA/OWI program, Director Roy Stryker proselytized that photography was perhaps the best tool for analyzing living history. He felt that photography as a fine art form and its gains in technical ease and advances coincided ideally with the timing of the FSA/OWI historical photographic section. He forecast rapid and constant increase in photography use and adapters. He was inspired by individual and private pioneering antecedents (Brady/Civil War, Hines/Russell Sage), and public ones such as the documentary photographs by William Jackson for the Department of the Interior. Sometimes I think of Stryker’s Section work along a continuum of government spending on exploration that produced great contemporaneous historical records. The journals of Lewis & Clark. The work created by artists who participated in the NASA Art Program. These FSA photographs. 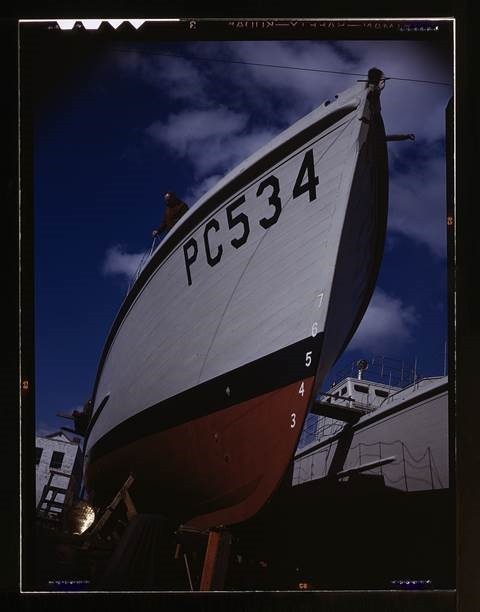 Stryker realized that there were collections of photography building up in municipalities big and small; how they were catalogued and assessed were critical to their use. 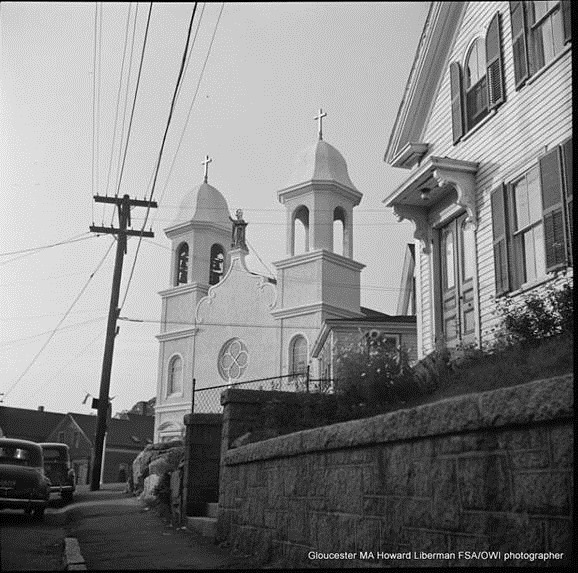 Here in Gloucester, the Cape Ann Museum maintains a Historic Photo Collection containing over 100,000 images from 1840s through now. Photography is included among its permanent and temporary exhibits and what’s not on view can be researched at their archives. 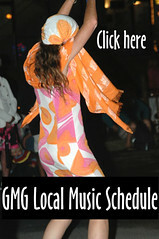 There were many independent artists as well as staff photographers (local newspapers, businesses such as Gorton’s, etc.) 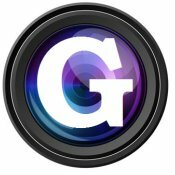 working in photography here in Gloucester. Every decade has wonderful examples such as Herbert Turner, Alice Curtis (and other photographers that Fred Bodin features), and David Cox’s father, Frank L. Cox. There were numerous visits from staff photographers of major publications like Life, Vogue, National Geographic, and more. Gordon Parks came back at least two more times; a few other celebrated staff photographers that came through include Luis Marden, Eliot Elisofon, Yale Joel, Co Rentmeester and Arthur Schatz. No- photographic artists who also worked in photography is another long list, and would include Leonard Craske, Emil Gruppe, Philip Reisman, and many others. 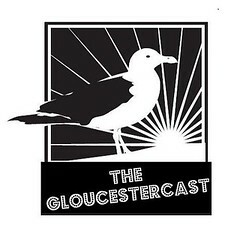 Good Morning Gloucester features photography, that’s for sure. Joey recently featured Wallflowers, by Gordon Parks on GMG which reminded me of the road less traveled within the historic collection of photographs archived at the Library of Congress and the New York Public Library. 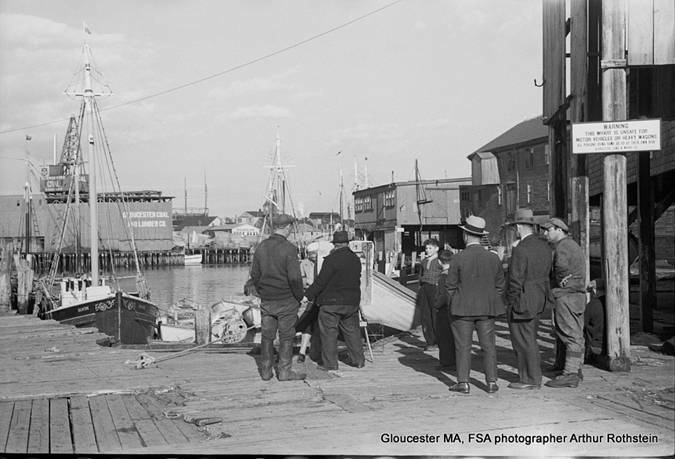 This post is Part 2 in a series on Gloucester images in this legendary Farm Security Administration / Office of War Information (FSA/OWI) collection. 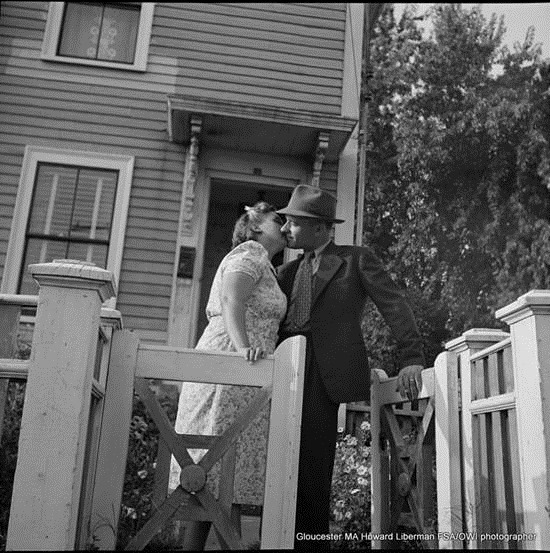 You can go back to Part 1 about Gordon Parks and for some background about the program. 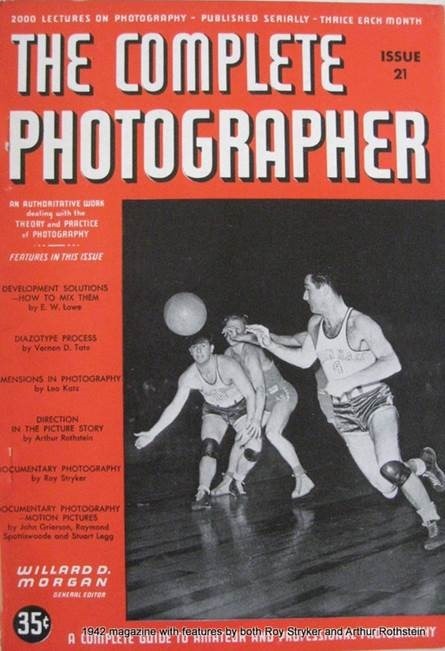 Arthur Rothstein is one of Roy Stryker’s elite team of FSA/OWI photographers. There are over 10,000 photos by Rothstein alone in the massive collection. 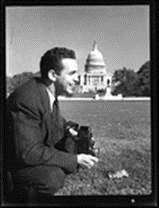 Rothstein became a premier American photo journalist and the Director of LOOK (1947-1971) and Parade magazines.Director Roy Stryker brought recent graduate Arthur Rothstein to WashingtonDC to set up a state of the art dark room for the new Resettlement Administration Historical Section. In his senior year at ColumbiaUniversity, Rothstein had worked with professors Tugwell and Roy Stryker.Rothstein was 20. Stryker had him out in the field almost immediately. The job meant he had to learn how to drive a car. 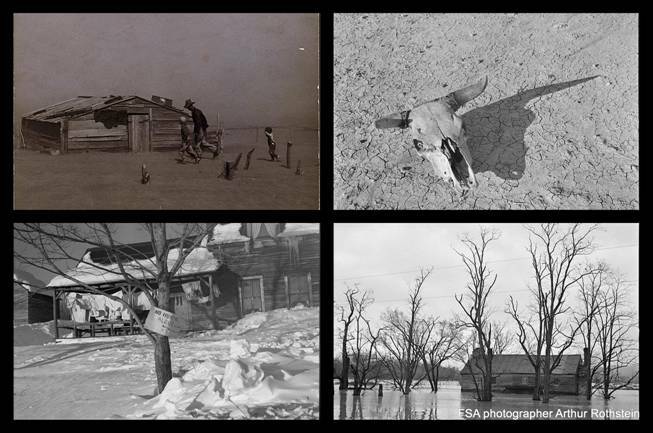 In May 1936, Rothstein’s South Dakota Badlands drought images caused controversy then, and discussion still. Rothstein’s April 1936 Oklahoma photograph of a father and his two boys fleeing Mother Nature in CimmaronCounty may be the archetypal image of the Dust Bowl.Here are a few examples and flavor of a fraction of Rothstein’s FSA work (broad themes): Mother Nature/Disaster; migrant workers and flight (showing one from MT); Gees Bend; sense of humor.Those images are followed by a few he did in Gloucester. 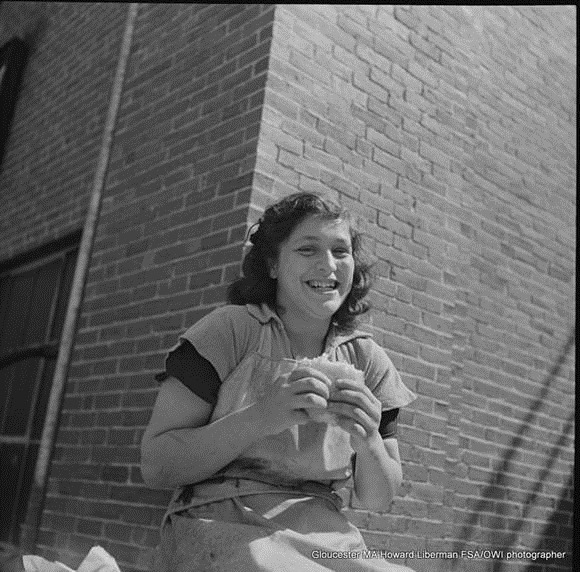 The people are not identified in the Arthur Rothstein Gloucester photos. 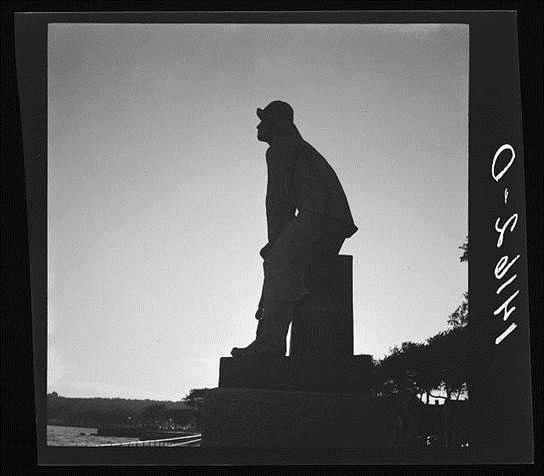 He’s here in 1937, the same year that the movie adaptation of Captains Courageous is a big hit. There’s an artist in action, seen from the back. Who is it? Library of Congress FSA/OWI collection = Nearly 280,000 objects as follows: black and white negatives (170,000+); black and white prints (100,000+); color photographs (1600+). New York Public Library has a substantial collection. 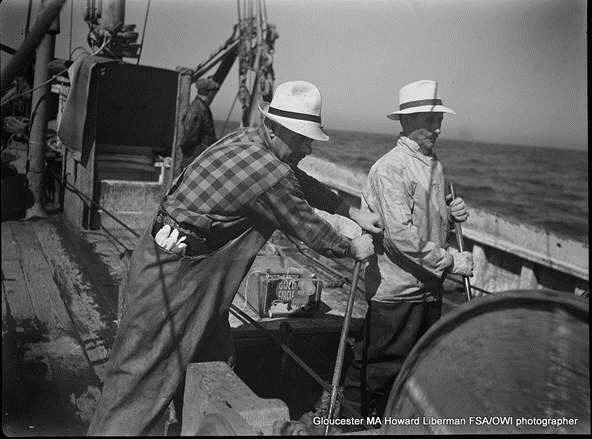 1942 Howard Liberman: 700+ (FSA/OWI) / 150+ images Gloucester. Gloucester names to search for: John Ribiera and his wife, the vessel Old Glory There are many portraits and most are not identified. Please help. 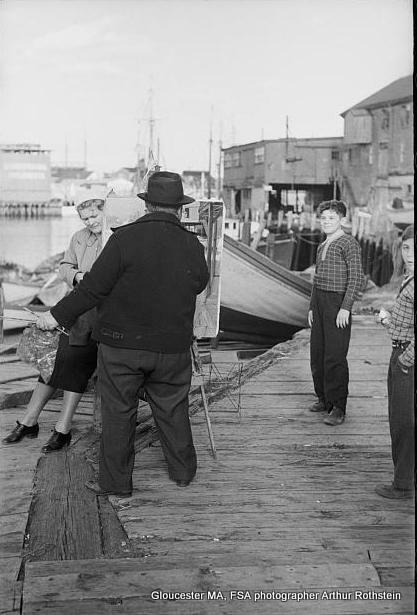 Occasionally when Stryker or the artist considered a photograph a reject, he would punch a hole through the negative. 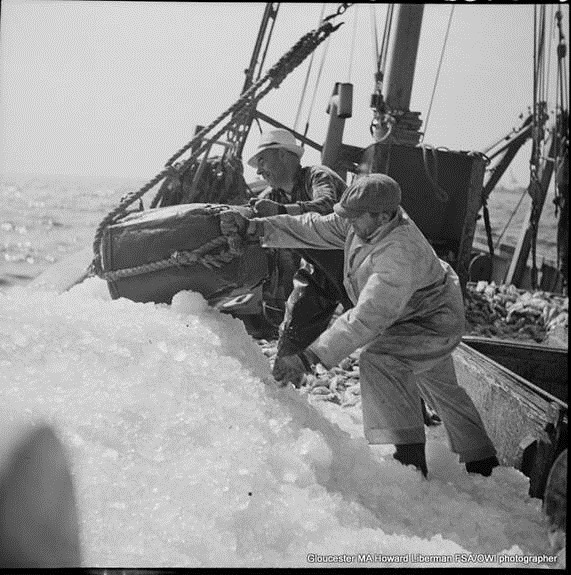 Along with an extensive visual archive, the FSA team was extremely versed and/or required to study images. One example: Lewis Hine, a NYC school teacher and sociologist who stirred American consciences with his photos. Margaret Sage, the widow of railroad magnate, Russell Sage, established an endowment to research social sciences still active today. Hine’s Ellis Island photographs landed a staff position with the Foundation. 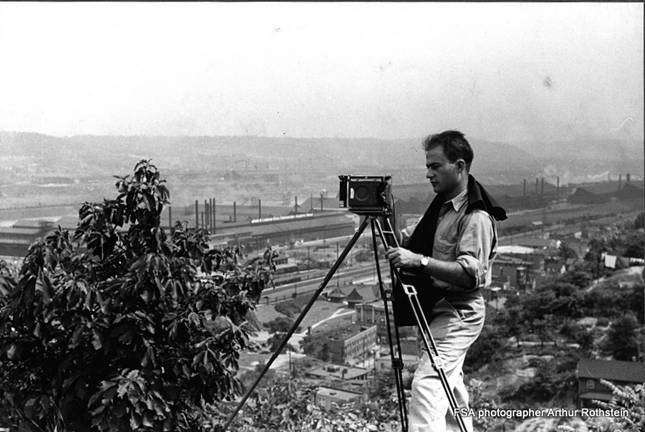 His work for them produced their first influential impact: the Pittsburgh Survey. 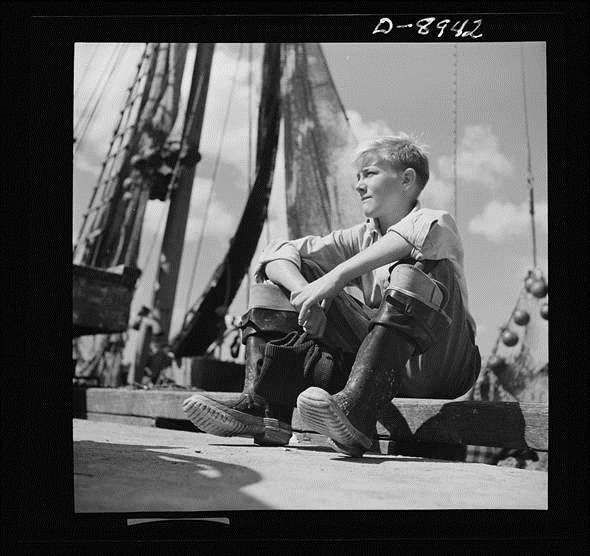 From there, Hines was hired by the National Child Labor Committee and his photographs over the next decade were instrumental in changing child labor laws. 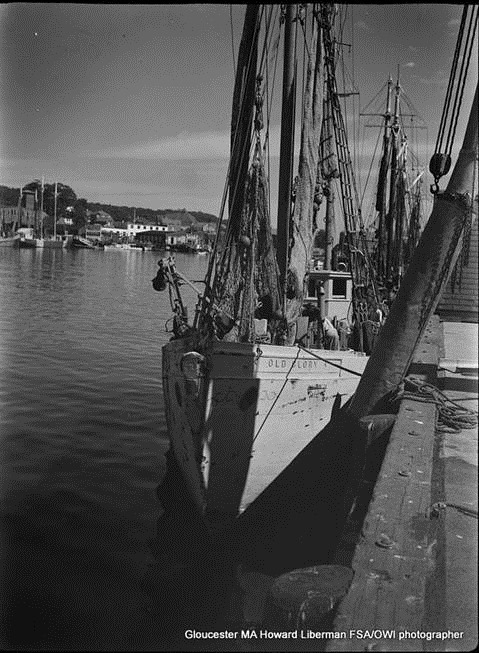 Also Stieglitz, Charles White, Paul Strand, and many others. Hines was hired to photograph the construction of the EmpireStateBuilding. Ironically, despite his importance and direct influence on future photographers, the arc of his career ends with hard times. He was not included with the FSA hires.. The reception of Hines work declined so much that he was forced to sell his house. MoMA rejected his archives. George Eastman House took them in 1951. 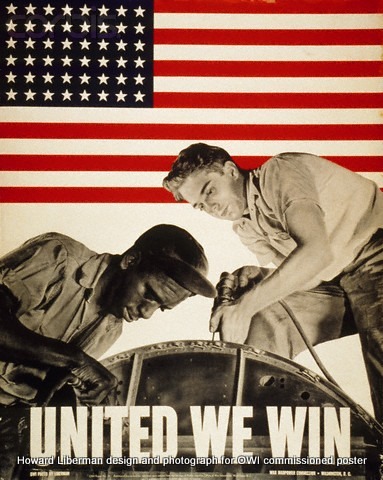 The continued influence of Margaret Bourke-White. Her professional career took off in 1927. FORTUNE magazine sent her to cover Russia which published Eyes on Russia in 1931. 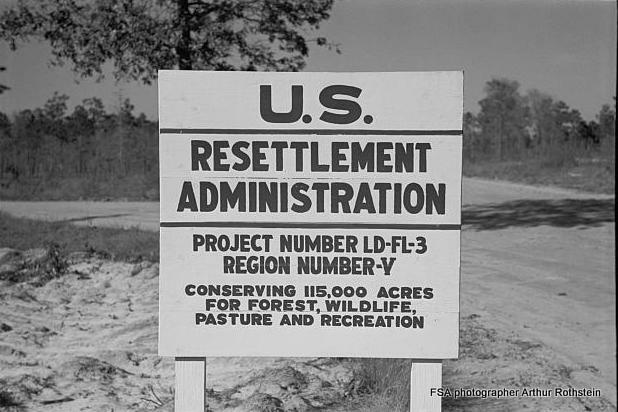 The Resettlement Administration Historical Section’s photographic project is tasked with documenting the crisis state of rural poverty. The government hires Roy Stryker. Stryker hires the photographers. Many other Federal creative arts programs. 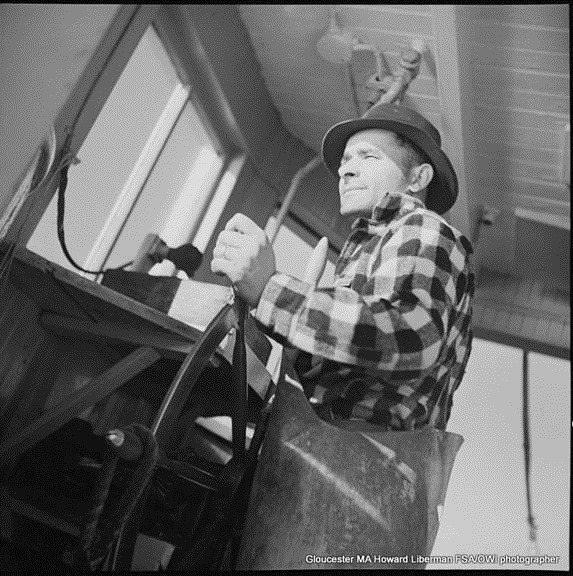 The government sends Dorothea Lange to photograph migrant farm workers in CA. 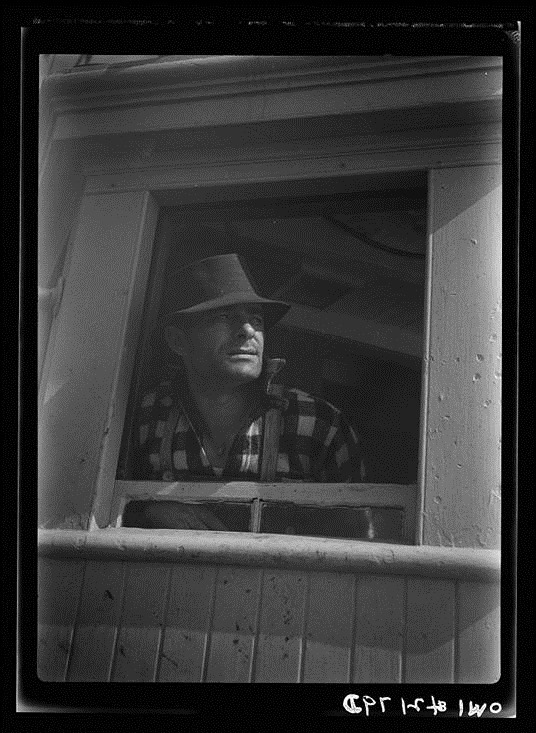 Lange, Walker Evans and Ben Shahn already established careers when hired for the FSA but not household names. The movie adaptation of Rudyard Kipling’s Captain’s Courageous is a huge hit. FSA/OWI Arthur Rothstein is sent to Gloucester. Depression era movie audiences purchased 60 million tickets per week. Steinbeck’s Of Mice and Men is published in 1937. The movie adaptation opens 1939. FSA group exhibit at the International Photographic Salon, Grand Central Palace, New York featured a selection of bleak but respectful images. Reviews felt that the photographers avoided negative stereotypes. The tone of the exhibit was so influential that it was oft repeated. Stryker felt that well over ½ the images in the collection were affirmative and positive. 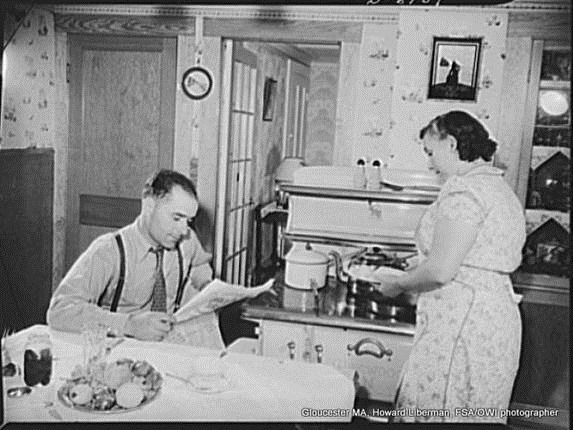 Richard Wright hired for the WPA Writers Project guidebook for New York and wrote the part on Harlem. He received a Guggenheim Fellowship and was able to finish Native Son. Architectural Forum introduces Frank Lloyd Wright to American audiences. Managing Editor Ruth Goodhue was the first female at the head of any Time Inc publication, and a colleague of Stryker’s. Stryker credits RUTH GOODHUE* for propelling his encyclopedic quest to catalogue every day life with what sounds now like “a distinct sense of place”, 2014 placemaking terms. Her advice to Stryker echoes the later work of Jane Jacobs** “The Death and Life of Great American Cities”, the Main Street movement, and our current cultural district designations. Thirty years later Stryker credited numerous people, but he repeats his credit to Goodhue several times. Looking back, by the time 1940 rolls along, it’s Stryker’s creed. It’s thrilling how one inspirational comment can engender such a unique mobilization! Steinbeck’s Grapes of Wrath is published and is phenomenally successful. The 1940 movie adaptation is a blockbuster, too. Richard Wright and Edwin Rosskam produce Twelve Million Black Voices. Migration coverage went to the city. Gordon Parks’ position within Stryker’s department is underwritten with the support of a Julius Rosenwald Fellowship. 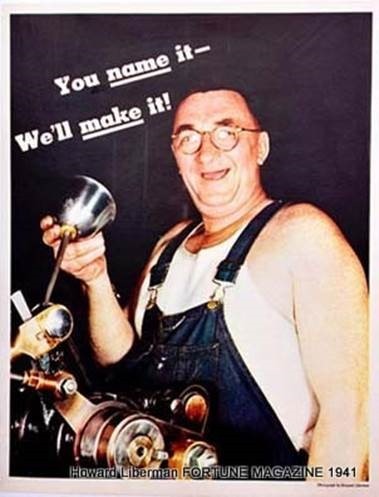 Rosenwald was a partner in Sears Roebuck. His foundation operated from 1917-1948 with the mandate to focus on the well-being of mankind and with a particular education outreach for African Americans. The endowment was to be spent down completely and it’s estimated that 70 million was given. Of particular note, from 1928-1948 open-ended grants were given to African American writers, researches, and intellectuals and the list is a Who’s Who of 1930s and 1940s. This is precisely the type awarded to Gordon Parks so that he could work at the famous FSA program. Gordon Parks in Gloucester May and June. 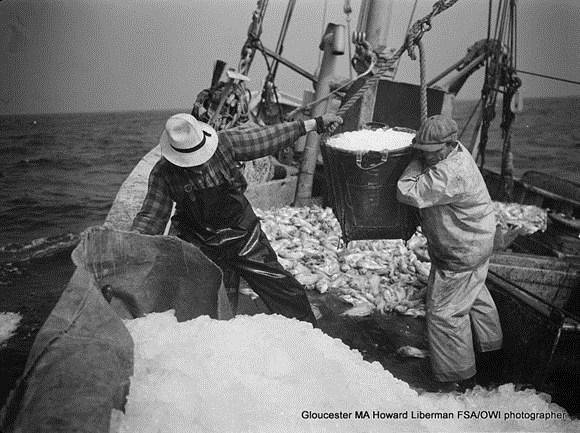 Howard Liberman in Gloucester, September. Edward Steichen’s last and seminal exhibit as Director of the Museum of Modern Art is dedicated to Stryker and the FSA photographers. As with other FSA themed exhibits, photographs by Gordon Parks– and many other artists–were not included, still aren’t included. As writer and associate editor of The Iron Age, Jane Jacobs published “30,000 Unemployed and 7000 Empty Houses in Scranton, NeglectedCity”, an article which brought attention to her home town. 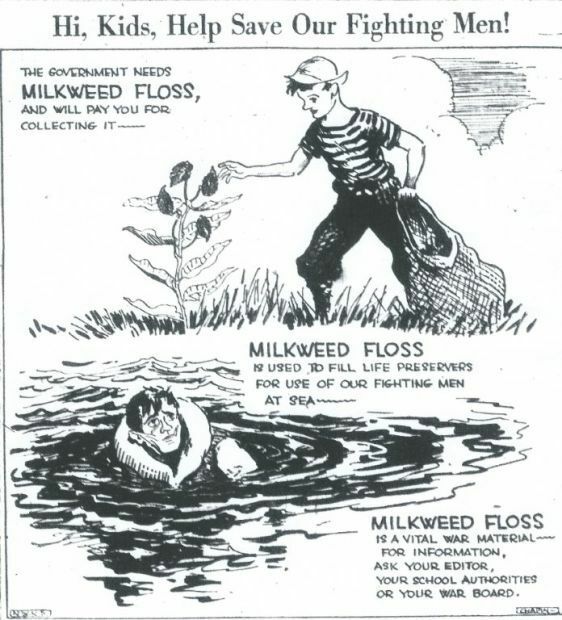 This led to more freelance work and in 1943 a job writing features for the US Office of War Information (OWI). After 1945 and into the 1950s, Jacobs wrote and was editor for the State Department’s magazine branch, primarily for Amerika Illustrated, a Russian language magazine. In the public sector she went on to Architectural Forum. I wonder if Goodhue was a mentor for Jacobs or if they had any overlap. I certainly consider the FSA/OWI files as formative for her ideas — and Goodhue influenced that program. In New York City 1937, Charles Olson was hired by the government to work for the American Council of Nationalities Services, an agency that offered support programs for immigrants and refugees. He also wrote for the Office of War Information from 1942 – May of 1944. The timing overlaps with Jane Jacobs somewhat. 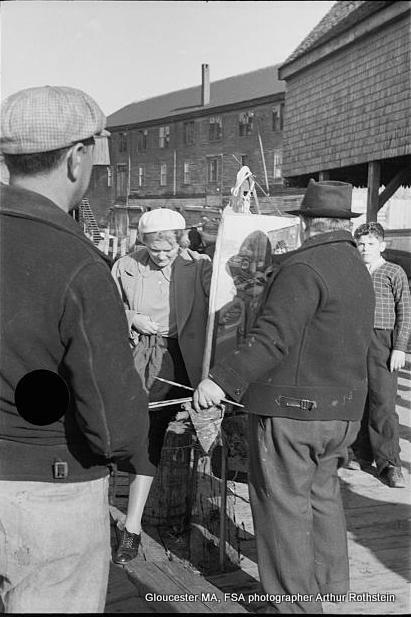 Gloucester writer, Edward Dahlberg, introduced Olson to Alfred Stieglitz in New York City back in 1937. Ruth Goodhue’s father, Bertram Grosvenor Goodhue, was a famous architect. Through his friendships with Ernest Fenollosa of the Boston Museum of Fine Arts and others in the orb of the Boston Society of Arts and Crafts (1897), he met architect Ralph Adams Cram. Goodhue and Cram partnered to form a successful architectural firm, in business together for over twenty years. They had great solo careers, too. Cram designed the Atwood Home, Gallery-on-the-Moors, in East Gloucester, and preliminary plans for the towers on Hammond Sr’s property, and the inspiration or more for Stillington Hall and others.